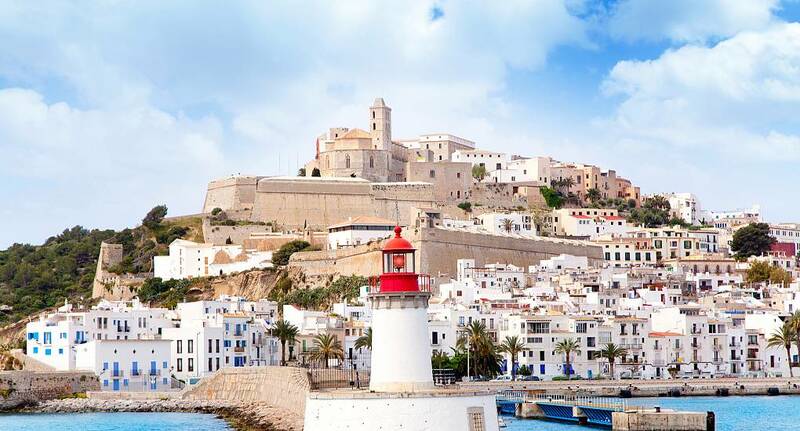 Ibiza is the most popular island in the Mediterranean just off the coast of Valencia, and if you are after a perfect Hen Weekend in the sun, then Ibiza covers everything you need. With it's golden beaches, multi-cultural restaurants, plenty of activities and the best Nightlife in Europe, you'll never encounter a dull moment..
Watersports are one of the most popular activities here but if you fancy something more relaxing you can admire the superb coastline with a sunset cruise or maybe mix it up with a cocktail making masterclass. We can tailor your Hen weekend to fit around all your needs. Through the summer months it's very hot so dont forget to take the sun lotion, Its a place where the party scene is 24hr a place where super clubs reign supreme, Ibiza will definitely be a Hen weekend experience not to forget.